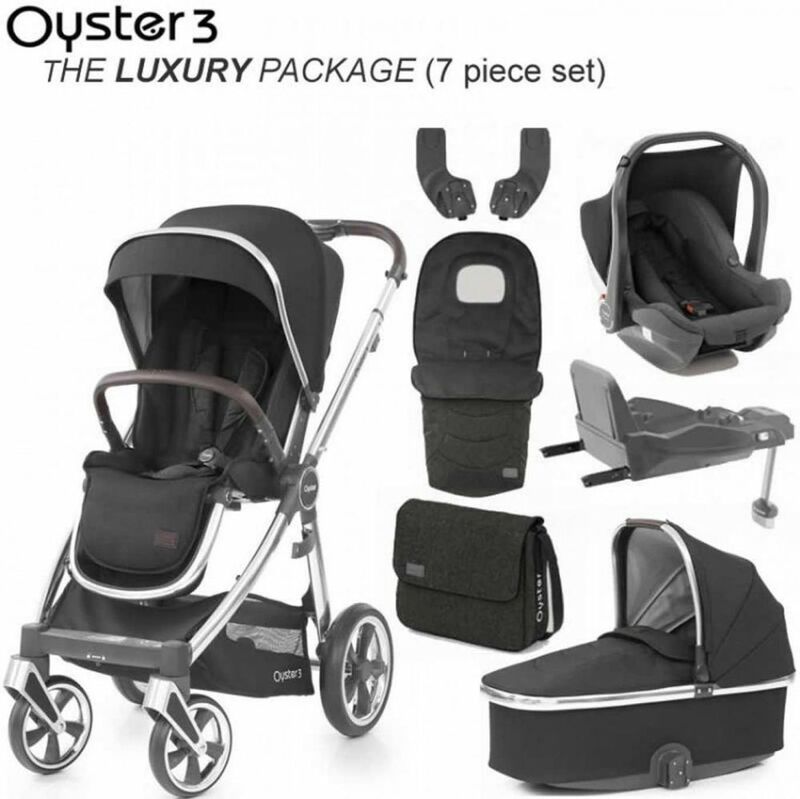 The Luxury 7 piece bundle includes the Oyster 3 Pushchair , Carrycot, Carapace Infant Car Seat, Duofix i-Size Base and the Multi Car seat Adaptors, plus the Footmuff and Pram Bag, providing you with everything for your travelling needs. The BabyStyle Duofix i-Size Base is designed for use with the new Carapace i-Size infant and toddler car seats, providing your family with maximum security all the way from birth up to approximately 4 years, as there's no need to change base when you change seats. The Duofix i-Size Base is suitable for use with the Carapace infant i-Size in the rear-facing position from birth to 83cm (approx. 12 months), and then can be used with the optional Carapace toddler i-Size from roughly 12 months to 4 years in both rear-facing and forward-facing positions.